If you’re a small and medium sized business which indulge not in some sort of a physical stock but at the same time either manufacture or assemble it, then TradeGecko can be an ideal fit for you. Being an accounting professional, I’ve been using TradeGecko for my clients for quite some time now. Tested it, noticed its errors and at the same time, also witnessed the TradeGecko team resolving them. Moreover, I’ve also seen new features being made part of this cloud-based inventory management software and thus turning it into a rather mature product for the businesses over time. 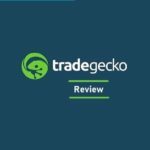 Therefore, since I have tried and tested myself, I thought that in this TradeGecko review, why not share the major features of this inventory tracking software so that you know how it stands out from its competitors. Hailing from New Zealand, TradeGecko started its services back in 2012. The company was started by three Entrepreneur brothers, Cameron and Bradley Priest along with Carl Thompson with the aim of helping businesses to especially manage and track their retail inventory. 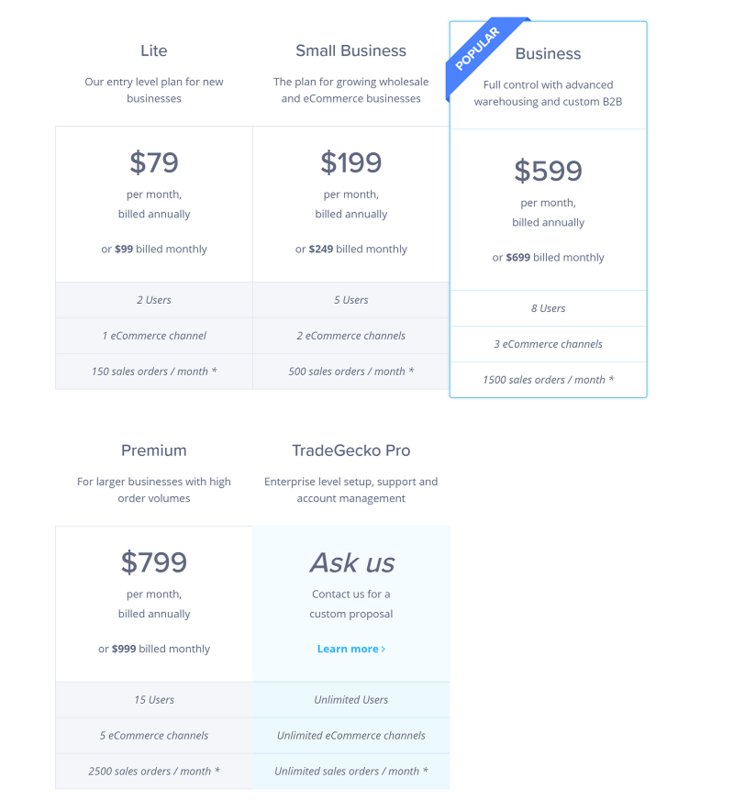 Currently, there are 5 subscription levels starting all the way from the lite package ($79/month) to a more customizable TradeGecko Pro package. Who is TradeGecko’s Target Customer? Any small and medium sized business which has to deal with physical inventory can use this software to make life easy. This also involves eCommerce businesses, retailers and especially the wholesalers. Had I written this review a few months earlier, I wouldn’t be mentioning this feature at all since this is a new addition in the arsenal. However, the very feature helps TradeGecko unquestionably loom over its counterpart. The newly added Manufacturing module now helps you keep track of your inventory as well as resources indulged in the manufacturing or assembling process. By creating and executing the Bills of Materials, you can ascertain the wastage and the resources being consumed on the finished goods. Conventionally, the cloud-based inventory management softwares don’t pay heed towards the manufacturing process and all their efforts are concentrated towards the “selling” and “purchasing” when it comes to tracking inventory. TradeGecko has certainly broken the streak and therefore, can be considered as the pioneer in this regard as I haven’t yet seen its competitors churning out the same feature. However, I’m open to correction. Still in its beta stage (at the time of writing this review), the TradeGecko’s manufacturing module will soon be doled out in full bloom. Just gotta hang in there. Powered by Stripe, you can quickly create an account and start accepting payments from your customers. Integration is quite seamless hence no hiccups at all. TradeGecko invoices come with the “Pay Now” button thus providing your (especially the wholesale) customers a streamlined user experience for smoother checkout. In return, you can get on the top of your cash flow requirements by getting paid faster. Note that currently, the TradeGecko payment system supports United States, United Kingdom, Australia, Canada, Singapore and New Zealand. However, they do have plans to dolling out the feature for the rest of the world as well. The B2B eCommerce feature allows you to create an online platform and provide access to your wholesale buyers. This way they can keep track of their bulk orders and interact with you with convenience. In return, this harnesses a strong business relationship. Since the bulk buyers are the life-blood of any business, who wouldn’t love to get even an inch closer to them. With TradeGecko, you don’t have to work in isolation. Integrate TradeGecko with major accounting, eCommerce and shipping platforms to ensure smooth operations. TradeGecko integrates with the websites and platforms like Xero, QuickBooks, Amazon, eBay, Shipstation, WooCommerce etc. seamlessly and updates data in real-time to keep you informed with even the minute changes. You may sell on multiple channels and marketplaces such as B2C, B2B, eCommerce etc., TradeGecko has you covered. With the centralized hub to manage all your sales channels, TradeGecko makes it efficient and lean to manage your inventory all the way from placing order to the sales. Same goes with the shipping as well. Set up different rates for differemt shipping methods and different geographic zones. With multi-channel sales and shipping support, managing your inventory becomes an effortless task. Of course, one-size-fits-all does not suit all business activities. In your day-to-day business activities, you have to extend certain favours based on the customer’s history and potential in order to develop long-lasting and fruitful relationships. With TradeGecko, you can create and manage multiple price lists based on a product and customer relationships. This way you can offer lower prices to frequent customers by providing them price breaks. Additionally, you can also assign a price list to a particular customer adorned with special discounts. These prices will also reflect in your B2B eCommerce portal as well. TradeGecko’s feature-rich CRM allows you to keep track of your customer details, their history and preferences etc. to better understand their behaviour. You can control the access of your team members based on their user roles and privileges as well. 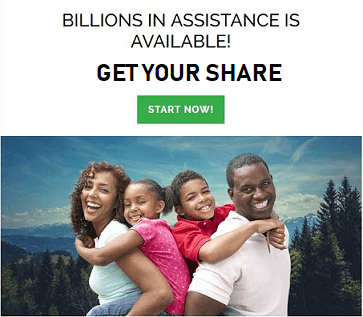 Additionally, the ability to assign default addresses and discount rates to individual customers ensure correct discounts, reduces errors, and improves overall customer relationship management through automated discount rates in Customer Discounts. Of course, you do not want to always stick in front of your laptop. Not good for your health at all. 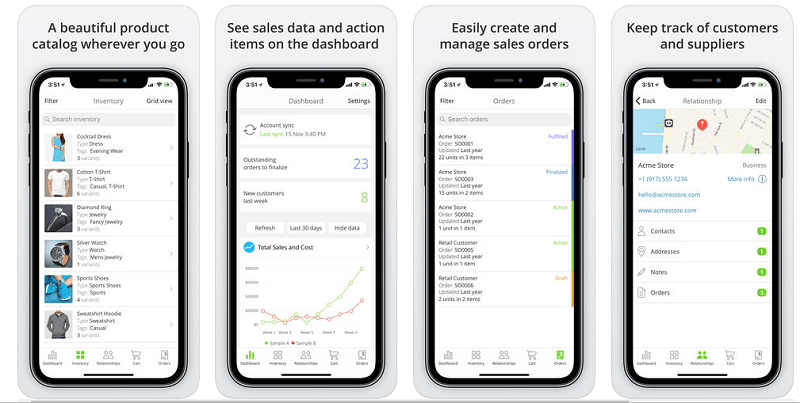 TradeGecko mobile app allows you to manage your inventory, fulfill orders and keep track of your purchases and sales from anywhere. The best thing about the mobile app is that you don’t even have to be online to use some of its features. 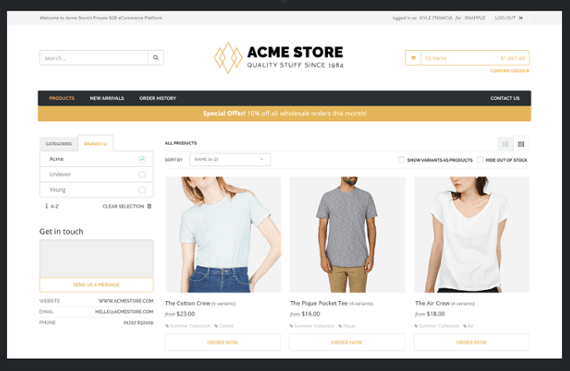 You can also create and edit orders while offline and sync back whenever you regain access to an internet connection. Currently, the app is only available for iPhone, iPad and Apple Watch. That’s a shame but let’s hope that android users can use the app pretty soon as well. Manage your invoices, keep track of your moving average cost, landed cost, trade in multiple currencies, introduce and apply different tax rates etc. All of this can be managed by TradeGecko’s accounting system which integrates seamlessly with your inventory and order management system. One catch is that since TradeGecko is an inventory management software and not an accounting software, there seem to be some lacking as well. For e.g., you cannot perform bank reconciliation in TradeGecko. For this you’d need to integrate and transfer data from TradeGecko to an accounting system. 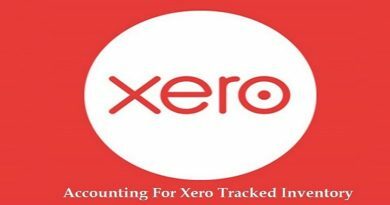 However, since TradeGecko integrates with major cloud-based accounting systems like Xero, QuickBooks Online etc., maintaining proper accounting records wouldn’t be an issue. Running business from multiple warehouses? TradeGecko has it all covered for you. With TradeGecko’s multi-warehouse support you can carry out your business operations from more than one locations without any hurdle whatsoever. You can transfer stock between warehouses, receive stock and fulfill order from a specific warehouse, sell on consignment and create a sales order from a particular warehouse, track inventory items (at variant level) per location, assign and restrict access of your team members to different warehouses so that they can collaborate with the remote teams from different locations. Just Imagine the ease and flexibility that the TradeGeko’s support of multiple warehouses will bring in your life. 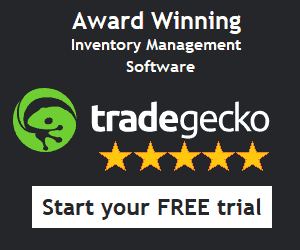 TradeGecko comes equipped with intensive inventory control features. Talking about a couple of them, you can create and track batches of products. Tracked your incoming items based on their expiry dates. Hence, reducing spoilage. Stock transfers between batch-tracked items. Using the First-In-First-Out (FIFO) methodology, sell the right batches of stock to the right customer. Even better, you can assign a particular stock to a specific customer. Never run out of stock or bear expensive storage costs to dump your excess inventory. With TradeGecko state-of-the-art inventory optimization system, you can now plan way ahead so that you always hold the optimum level of stock. Set up reorder points, receive notifications whenever the stock falls below the replenishment point, automatically calculate the Economic Order Quantity, and generate demand forecasts to always make sure that your business never runs out of stock during the busy season while also making sure to save storage costs by keeping on-hand only the optimized inventory quantity. We’ve talked about the main features. Now, let’s talk about the TradeGecko from ad administrative point of view. TradeGecko offers a multi-tiered support system for its subscribers. Starting from the knowledge base to the community-based and then 24/7 live chat support system. Moreover, you can also contact the team via email, telephone as well. As I said above, I’ll also mention not only the ups but the downsides of having TradeGecko as your primary inventory partner. Although, the TradeGecko team is working day in and day out to overcome these flaws, such as initially, many businesses shunned it down as not being able to support the manufacturing process. However, as we’ve seen, the new manufacturing module seems to address the issue in a very effective way. As a TradeGecko user, you will have to rely on third-party apps to enable POS system. A downside which I think is going to stay for long. In its defence, TradeGecko can certainly assert that it’s an inventory management system rather than an accounting system, however, it’s a downside nevertheless and therefore, you will have to again rely on the third party software to produce your day-to-day accounting reports such as the profit and loss, A/R, A/P reports etc. Many users have complained that often times, TradeGecko tends to slow down. I’ve never experienced this but it could be that I never had to drag the platform to its limits. Don’t need to add anything here. Let’s hope that the app will start catering more and more requirement as the time passes by. It’s all about maturing a product. This takes time folks. Same goes with the B2B portal as well. The feature is at its infancy. So it’d not be a wishful thinking if we expect it to be hosting even more features in the coming days. Quite a few users have reported that their support team needs to stay on their heels to address the dynamic natures of their customers’ businesses. I hope this has been addressed to a great deal as more and more positive reviews about TradeGecko are now coming out as compared to the past. Currently, the TG only provides credit card refund capability with “all-or-nothing” policy. Obviously, that’s not the only way the businesses make refunds. This needs to be taken care of immediately. How do other Review Websites Fare TradeGecko? 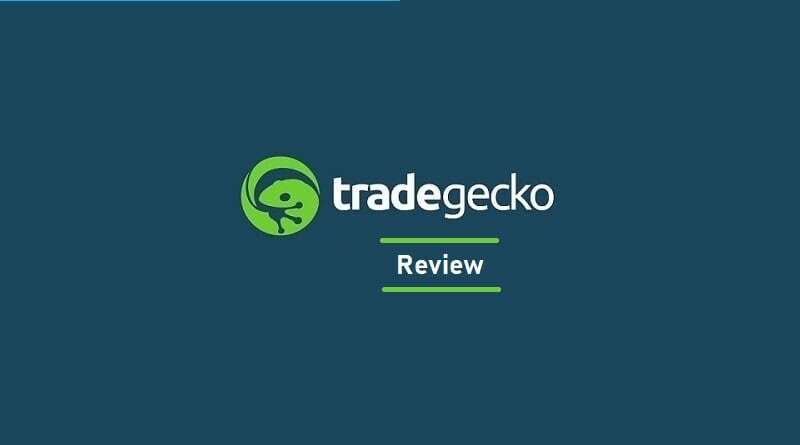 Lately, TradeGecko has been amassing some solid reviews from its users and therefore, the prominent review websites. Almost all of these websites such as Get App, Trust Radius and Capterra etc. regard this software as one of the best in the business. 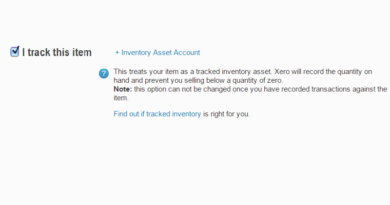 Overall, I find TradeGecko to be one of the best inventory management software out there. It offers features that hardly any other software does and that is why it has bagged some prestigious awards to its names. Yes, there are some flaws as well which we discussed above. However, I strongly believe that TG’s benefits far outweigh its disadvantages. Secondly, given the team which consistently is on the lookout for any room for improvement, I strongly believe that TradeGecko’s features make it stand in-line with any large-scale ERP system focusing on managing inventory. If you’re interested in subscribing for TG then you can start your free 14-days trial now. 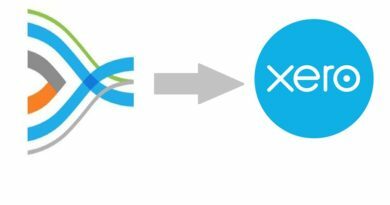 How to Track Inventory in Xero?